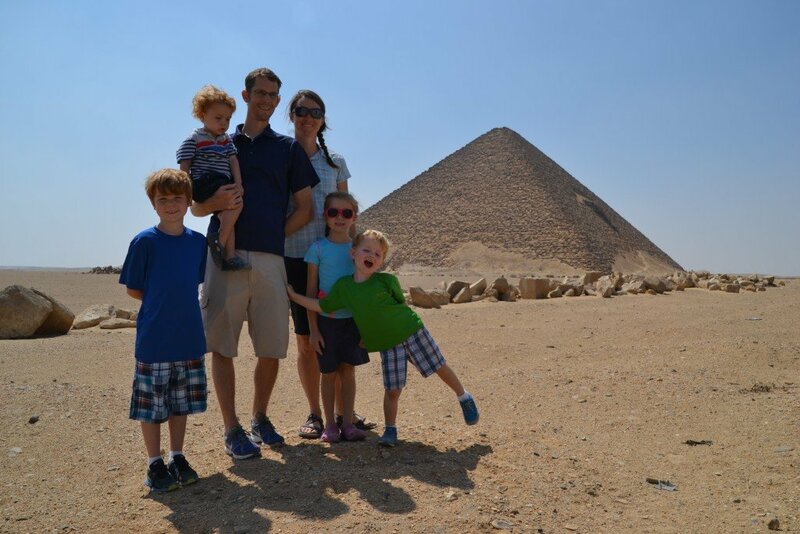 Everyone told us that we had to go…but really just to see the pyramids. We were warned we would be hassled and harassed and bombarded with people vying for our attention and money. We were cautioned that getting sick was almost unavoidable. Yet we took the family to Egypt anyway. Well, Egypt turned out to be totally different than what most people told us. 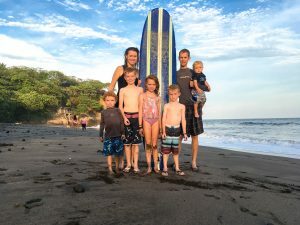 Our family was welcomed, the weather was fantastic, and the sites simply blew our mind. 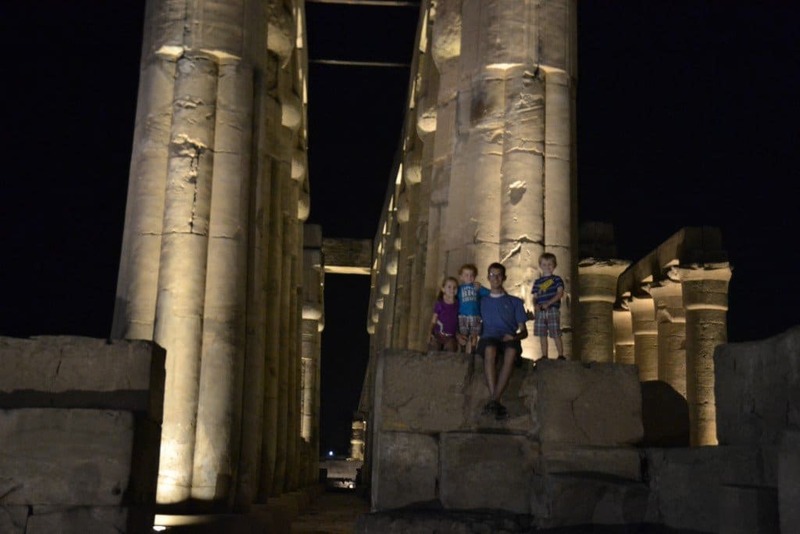 We saw pyramids (and even climbed inside of one), explored temples, visited ruins, crawled into tombs, sailed on the Nile River, took a hot air balloon ride, ate lots of yummy local food, examined ancient artifacts, and so much more. 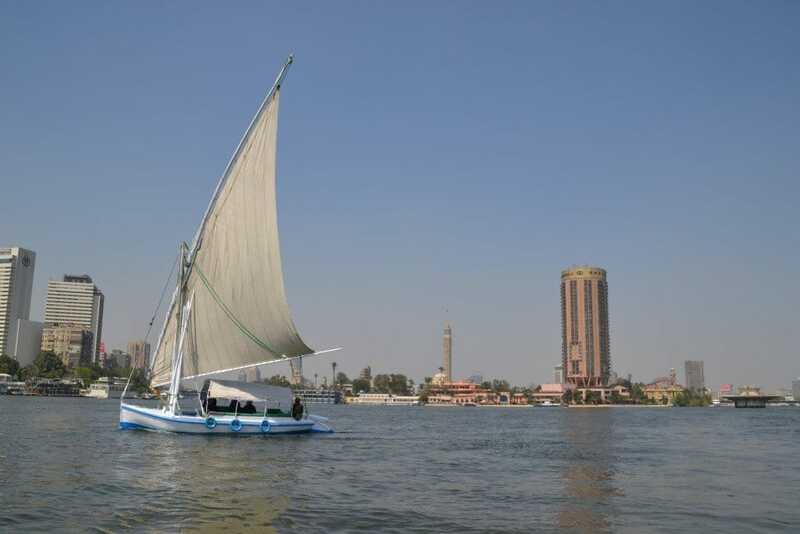 Right now is an amazing time to visit Egypt since tourism is SO LOW. 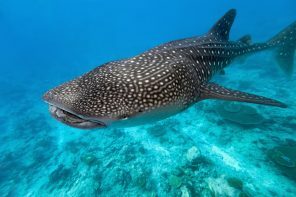 What that means is that visitors can get rock-bottom prices and avoid many of the crowds that Egyptian sites are known for. We got a 5 star hotel in Luxor for $55 a night for two rooms (TOTAL, though really it was more like a nice three star hotel in the US, but still really nice and an awesome deal), got guided tours of temples for only $6 for a 90 minute tour, scored some lunches for $3 for all six of us, got flights from Luxor to Cairo for only $43, and took a hot air balloon ride for less than $25/person. Of course there are a lot of tourist traps and people trying to overcharge you, but in general if you look around and are persistent, there are plenty of deals to be had. Trust me, I get it. Since the Arab Spring in 2011 and all of the protests and unrest that went along with it, Egypt quickly received a reputation for being dangerous and unstable. Throw in the recent plane bombing and then hijacking and Egypt will quickly be high on your list of DO NOT VISIT destinations. Honestly, if all I heard was those reports, I’d be jumping on that bandwagon too. Quite frankly, if all I did was listen to and believe the media, I’d probably never venture much past the grocery store EVER. Remember that the medias job is to sensationalize and often exaggerate every situation, which almost never gives you an accurate picture of what things are REALLY LIKE. I’ll admit I was a little hesitant about our trip too. I had my guard up high. However, even before we landed, our fears were calmed as other passengers and flight attendants started giving us tips and suggestions for things to see and do (as well as the “local” cost for doing them that we should aim for). 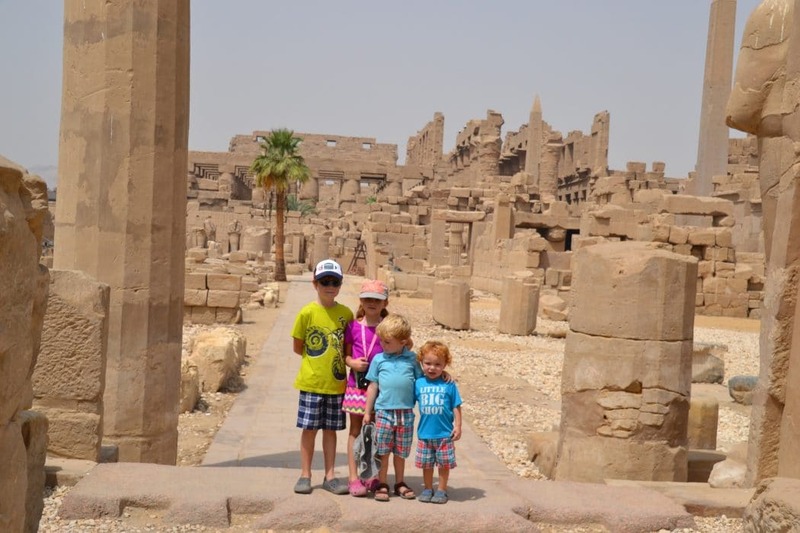 Longs story short – WE LOVED EGYPT! So so much. In fact, I really really want to go back and stay longer next time so we can enjoy more of the friendly people and fascinating culture. Everyone will love your children – though sometimes too much. Make sure to keep your kids nearby at all times and if someone is touching them too much or making them uncomfortable, just ask them to stop. They are probably not trying to bother you or your child, it’s just a difference in cultures. You need US dollars to buy your visa (or another foreign equivalent). When we went they wouldn’t accept the local currency from the ATM and their credit card machines were broken so we had to scramble to get enough for the 6 of us ($25 US per person). Everyone wants a tip for everything, so just be prepared. Most bathrooms have someone standing there asking for a tip (baksheesh) and pretty much anyone who helps with anything will ask for a tip. Pay them if you want to (though just remember that mostly they’re just asking for about 10 cents so decide before hand if it’s really a big deal to you or not). The water is not safe for foreigners to drink. Plan on only eating hot meals, don’t take your drink with ice, and avoid salads or unpeeled fruits as they likely have been contaminated with tap water. We still ate mostly at local places (which tasted great and were super cheap) so don’t feel like you have to be limited to the expensive tourist restaurants. We took the advice of a friend and shortly after arrival stopped by a pharmacy and picked up a local anti-diarrhea medicine that friends of ours claimed would be more effective than our Imodium. We carried it in our pack the whole time and even though we didn’t need it, it gave us peace of mind knowing we had it on hand. On that note, as with most third world countries, toilet paper won’t be available in most public bathrooms (unless it’s someone handing it out asking for a tip). Before you leave your hotel for the day, grab a bunch and have it on hand…also, make sure to pack your hand sanitizer. Having a guide with you can be very valuable and help you get the most out of your time while learning a lot. 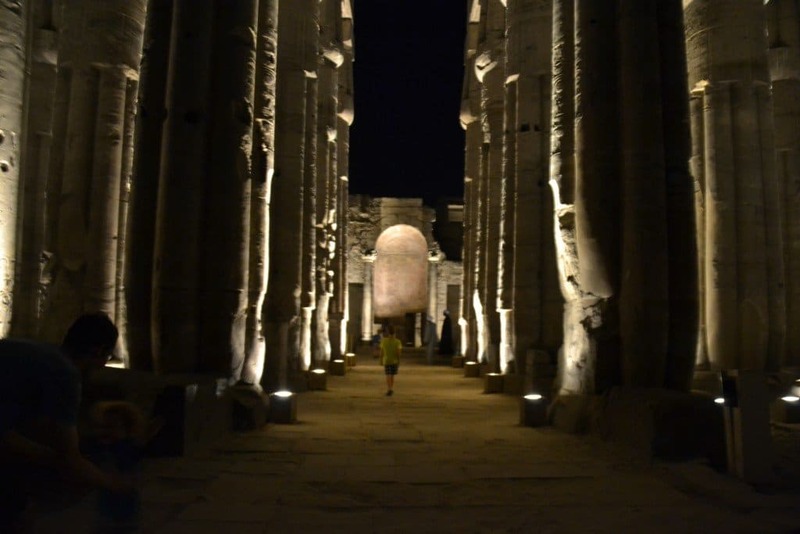 When we were in Luxor, our taxi driver arranged tour guides for us (most people know someone who does this) and we payed about $6 per site + tip (about 1.5 hours each place) – our hotel offered to arrange similar guides for us at $350/day. 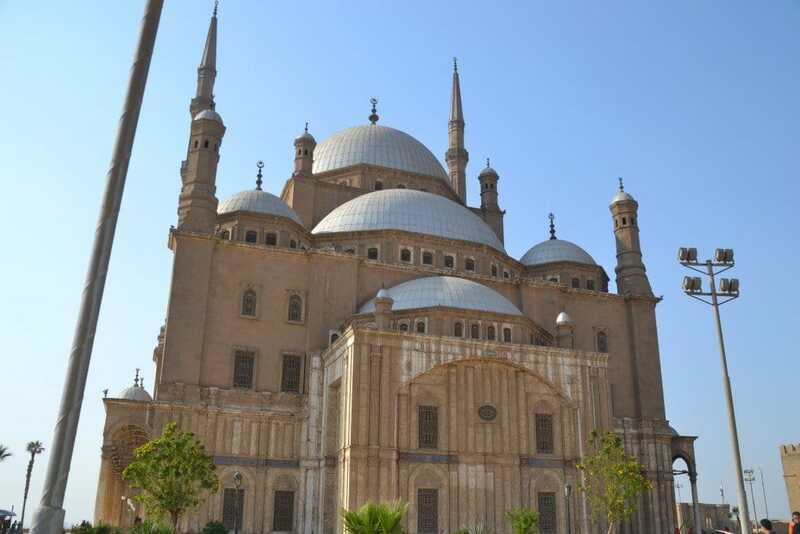 In Cairo we arranged a driver and guide ahead of time and payed $160 for two days (some of the quotes we got were over $900 – we went with the cheapest and were nothing but pleased with their service. The tour company we used was Go Travel Egypt and we highly recommend their services!!). You will find that you will get all sorts of prices for things, but can often get a great deal if you look around. In the end, remember you’re the one who decides if you’re going to spend the money so only do things that have an agreeable price or value to you. 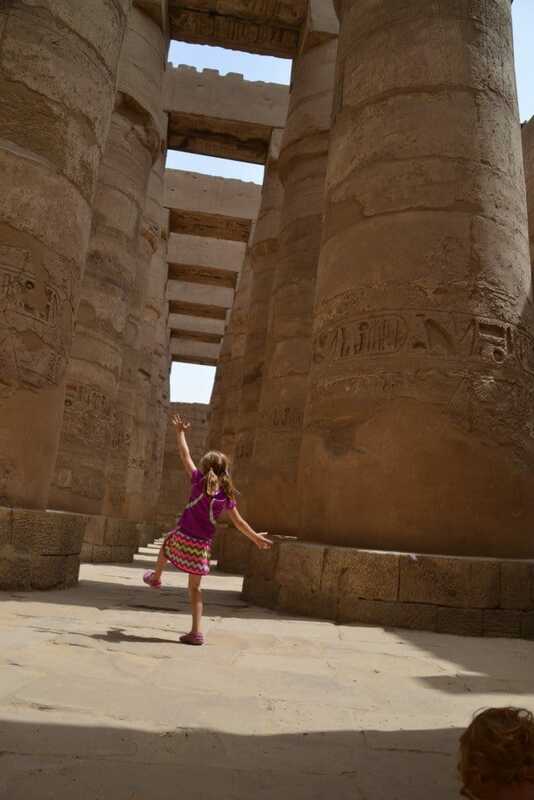 Would you consider going to Egypt, or have you visited before? We’d love to hear what your thoughts are on visiting this beautiful place! There are places that I would absolutely not go to right now, but those situations are fluid. 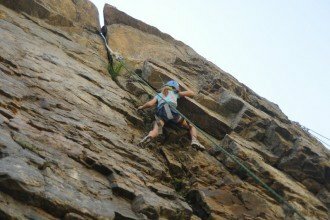 I think that people who tout danger and try to dissuade others from going to certain places are people who are not naturally adventurous and who rarely leave their cocoons. Looks like a great trip! 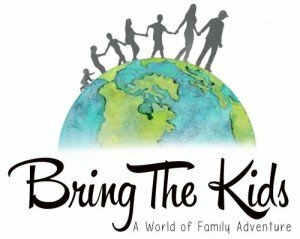 We have 4 kids also and just got back from India. Seems pretty similar. EVERYONE wanted pics of our kids! Egypt is on the list now! Thanks for the article! 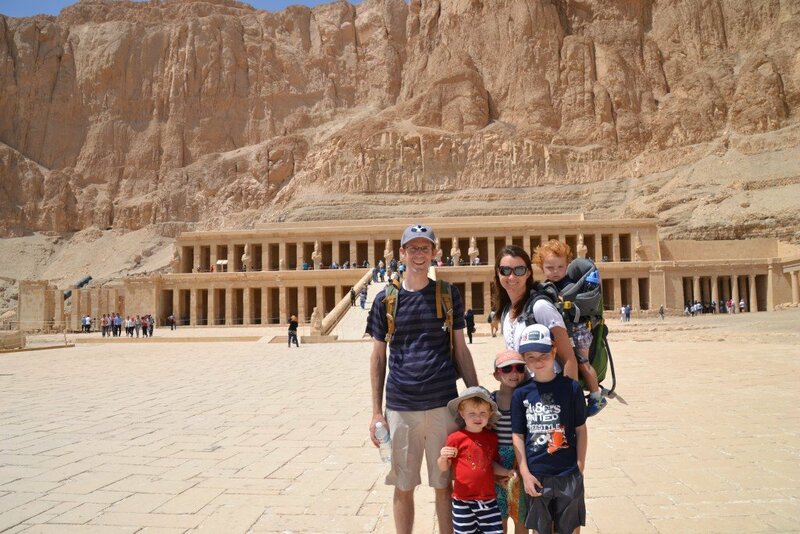 We are looking at taking our family to Egypt and its great to know that your family had such a good time. I was wondering how you went about booking your accommodation to get such great prices? Did you book online? Would you mind telling me the hotels that you stayed in? 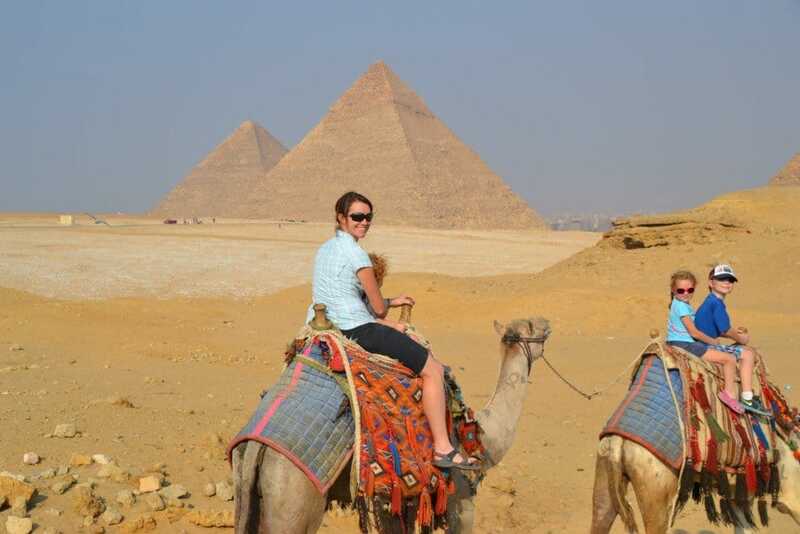 We live in Australia and planning an affordable holiday in Egypt is a long standing dream! Any advice on what and where the best places to book for accommodation in and tours would be much appreciated! 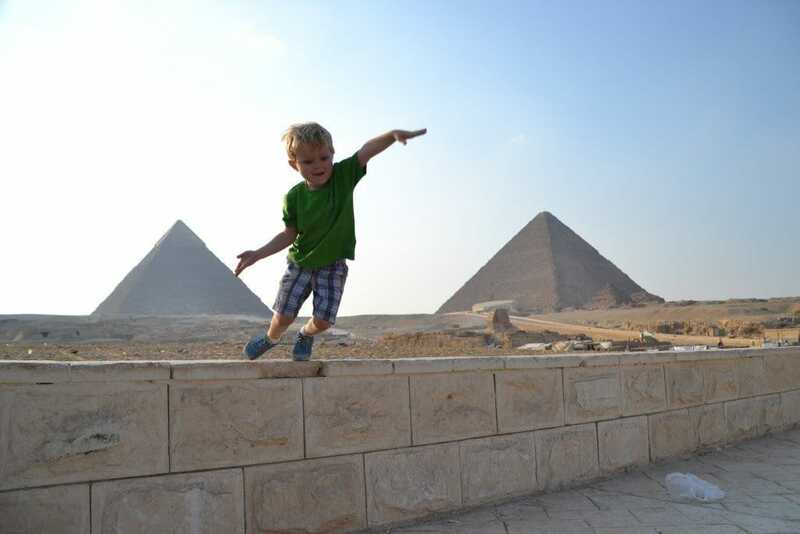 We’re thinking of going to Egypt later this year with our little one, he’s going to be around 20 months by then. I’m more concern about his diet there, he’s still limited to steam veggies, bread, fruits etc at the moment; no salt, spice nor oil . Will he be able to eat the local food? 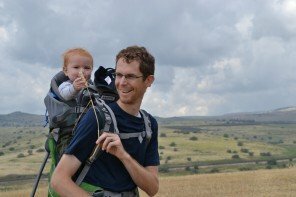 Any other advice for taking a toddler? Thanks a million!! 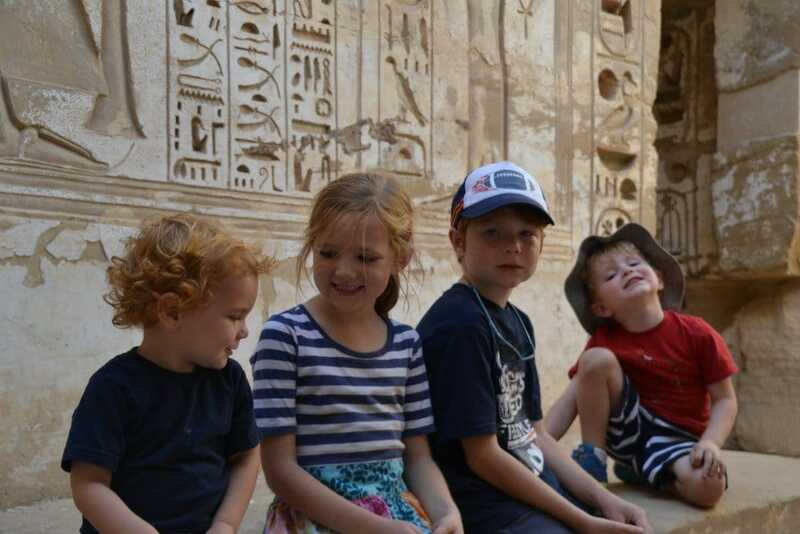 I also, am thinking of a Egyptian trip in a few months, with my husband and boys who will then be 7 and 9. I am always interested in affordable options and local experiences…. (I am definitely not a resort traveler!). Would love recommendations of all sorts! We would likely be there 2 weeks or so? Hi, my family and I are going to Egypt February 2018. Our son will be 6 months by then? 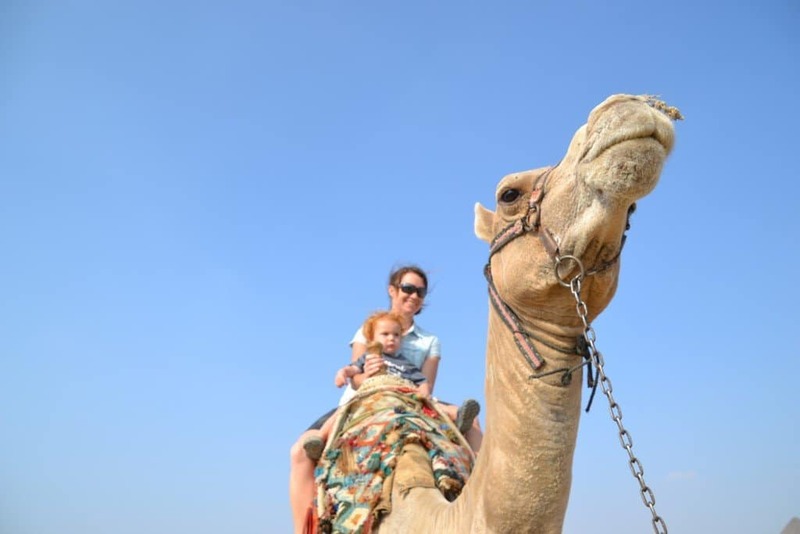 We want to do the camel ride will we be able to take him on that? Also the hotel we are staying at has day care we want to do a few hours at the spa would you feel safe to leave your kids with someone? Hello! 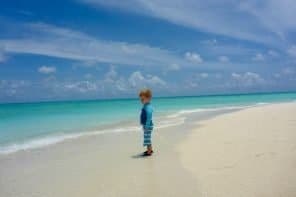 I am thinking about going with my 8 year old son this year for my birthday. Would it be safe for us 2? I would always check with the State Departments recommendations, because things can change often, but when we went almost 2 years ago, it was just great!